TICKETS: The Go Goodwin’s Manchester Storm are back in action on Saturday 11th February as we face the Fife Flyers in EIHL action. Faceoff is at 7 pm and tickets can be ordered online, by calling the box office on 0161 926 8782, or in person at the box office! Your Go Goodwins Manchester Storm came away empty handed from a trip to the Cardiff Devils this evening, despite leading for much the game! The game couldn’t have started out more perfectly for the Storm, with Jack Prince deflecting an Eric Neilson shot past Ben Browns in the Cardiff net after just 54 seconds of play! The stunned Devils began to mount the pressure and fired shot after shot on Mike Clemente in the Storm net. Despite this pressure, the Storm were able to hold, and on the break were able to double their lead when Matt Bissonnette slotted home with just 1:42 left to play in the period. 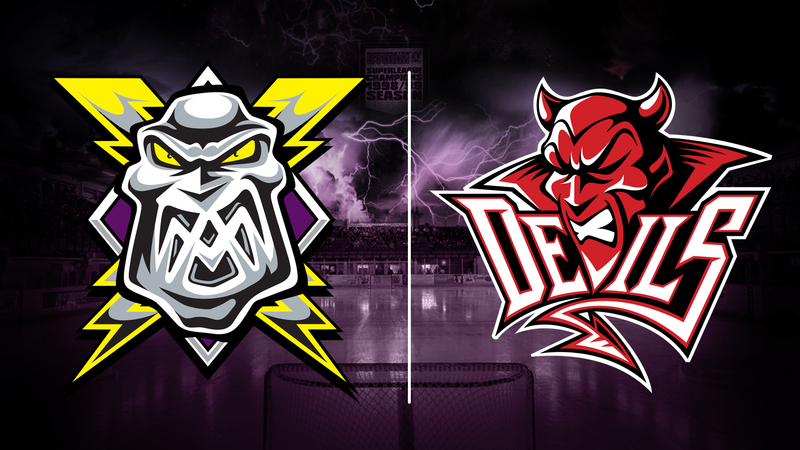 Following the break, the Cardiff Devils came out flying and put the Storm under immense pressure. Clemente was once again on the receiving end of numerous shots from the Devils & the pressure finally told when Joey Martin was able to give the hosts their first goal of the evening with 13:19 to go in the 2nd. Devils player-coach, Andrew Lord, was then able to tie the game up just over a minute later. However, the Storm perceivered and with 10:54 left to play in the period, Matt Bissonnette was able to give the Storm the lead once again, and get his second goal of the night. The hockey until the end of the period flowed end to end, with both net minders pulling off some fantastic saves to keep their teams in the game. However, the third period saw the Devils large bench capitalise upon the Storm. Despite the Storm controlling the play in the opening 5 minutes of the period, the Devils were able to tie things up with 15:24 to go in the period when Joey Haddad slipped one through the pads of Clemente. Despite this, Storm battled on, but Layne Ulmer had other ideas and with 8:30 to go in the 3rd, gave the Devils the lead for the first time in the game. With the clock ticking down, Storm pulled Clemente to give them the extra man advantage with 1 minute to go in the period. However, Chris Culligan was able to break the hearts of the Storm fans scoring into the empty net with 53 seconds to go. 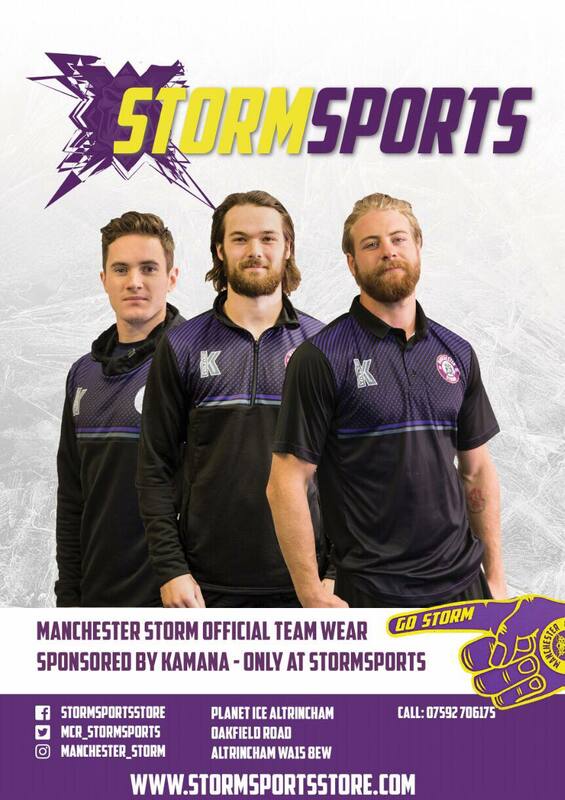 The Storm now look ahead to Wednesday night when we take on the Braehead Clan at the Intu Braehead Arena, before taking on the Fife Flyers at the Storm Shelter on Saturday 11th of February, face off at 7pm.